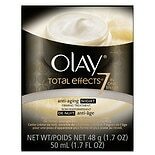 Shop Olay Total Effects Anti-Aging Night Firming Cream (1.7 oz. 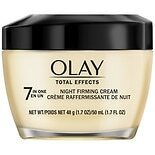 )1.7 oz. $2499$24 and 99 cents$14.70 / oz. 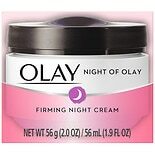 Shop Olay Night of Olay Firming Skin Cream (2 oz. )2 oz. $649$6 and 49 cents$3.25 / oz. 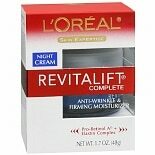 Shop L'Oreal Paris Revitalift Anti Wrinkle + Firming Night Cream (1.7 oz. )1.7 oz.